Here we have the first release on Husten. Husten is a new label from Apiento (aka Paul Byrne) from Test Pressing. 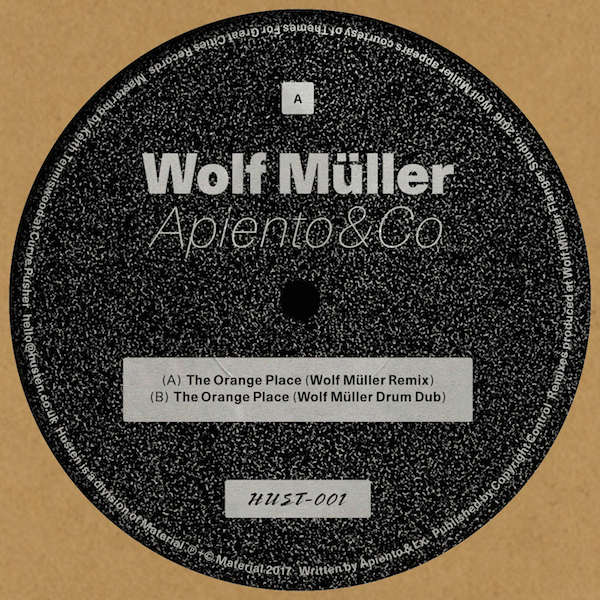 ‘The Orange Place’ by Apiento & Co was originally released on World Unknown and from there became a favourite with everyone from Todd Terje and Andrew Weatherall and the Balearic crowd. Apiento asked Wolf Müller to have a play with the track and here we are. Wolf Müller is from Düsseldorf. He made his name as a DJ at the infamous Salon Des Amateurs and from there as a producer for labels like Themes For Great Cities and collaborator with the likes of Young Marco as Young Wolf.